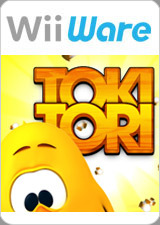 Toki Tori is a puzzle video game with platform elements. It was developed by Two Tribes B.V. and is their first published video game. The game follows a young chick, Toki Tori, and his quest to rescue his younger siblings, still in their eggs. To progress through the game, the player must pick up each egg on a level using a set number of tools, with new tools being introduced as the player progresses through the four worlds. This usually involves careful planning and creative thinking. The graph below charts the compatibility with Toki Tori since Dolphin's 2.0 release, listing revisions only where a compatibility change occurred. This page was last edited on 15 January 2018, at 08:02.